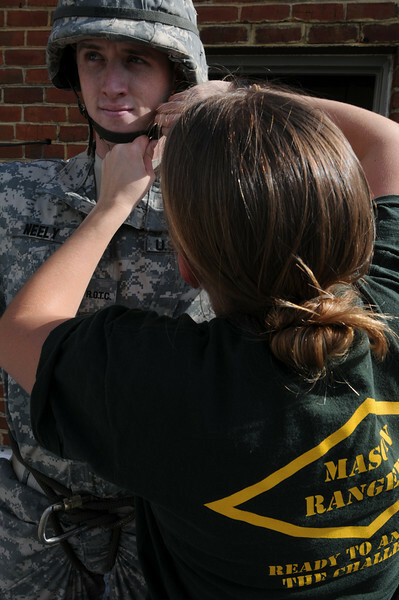 Army Reserve Officer's Training Corps (ROTC) is a college course designed to produce students with the necessary skills and leadership training to become officers in the United States Army, Army Reserve and the Army National Guard. ROTC cadets repelling off of Fenwick Library for a training exercise. Photo by Evan Cantwell.